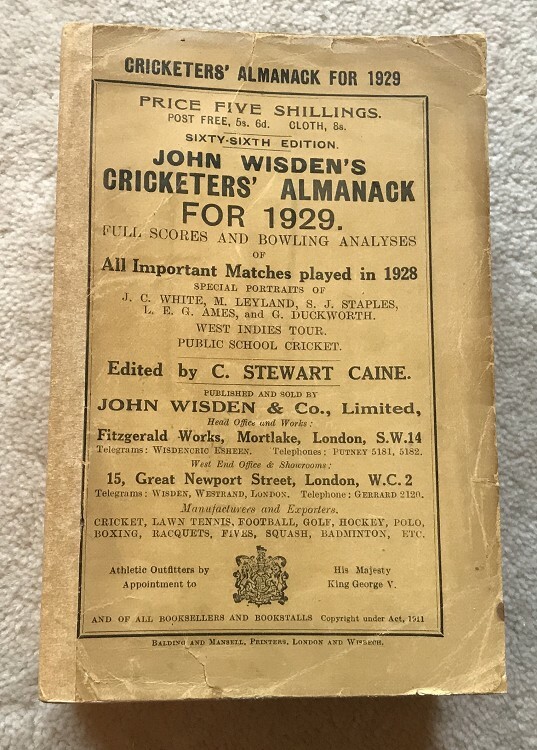 This lot is an 1929 Wisden Paperback with a facsimile spine that has recent been added. This book is in Good to Very Good condition.The spine is of excellent condition and mimics that of a paperback (just a bit newer) , hence it is tightly bound. The covers are excellent, nice and clean just some wear at the edges, internally excellent, clean pages and nice photoplate.